At one time, one of the busiest restaurants in the country, Anthony's Pier 4 Restaurant on Northern Avenue is closed and soon scheduled for demolition. It will be replaced by a 21 story apartment and retail tower in the rapidly changing Seaport district of Boston. Wow, I remember going there for dinner while in college, before some fancy formal dance... Very swank, very busy, and perhaps my first taste of raw shellfish! How interesting the things that do not pass the test of time. In my days in Boston, Anthony's, Locke Ober and Cafe Budapest were the three big expense account places to go. Now, they have all become just a bit of Boston history. Ditto Jack's comments. I made it Anthony's and Cafe Budapest once. Thanks for this info. 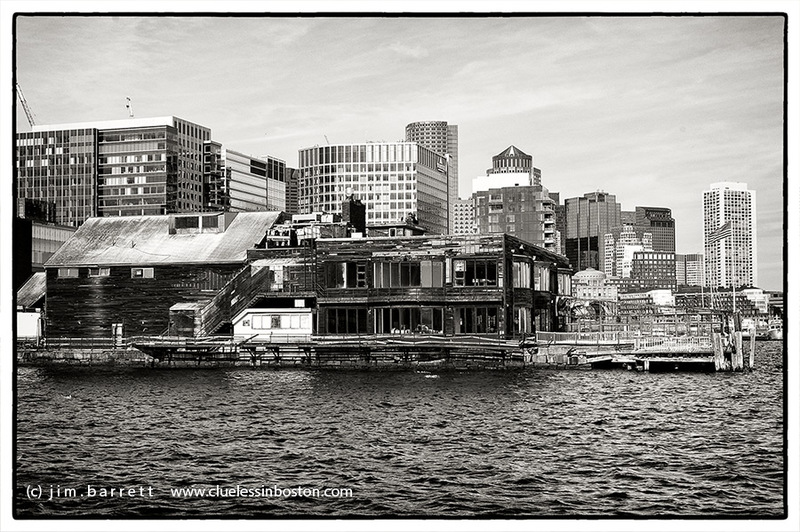 It seems that Boston is constantly changing! And it is wonderful to see that you have come out of hibernation!